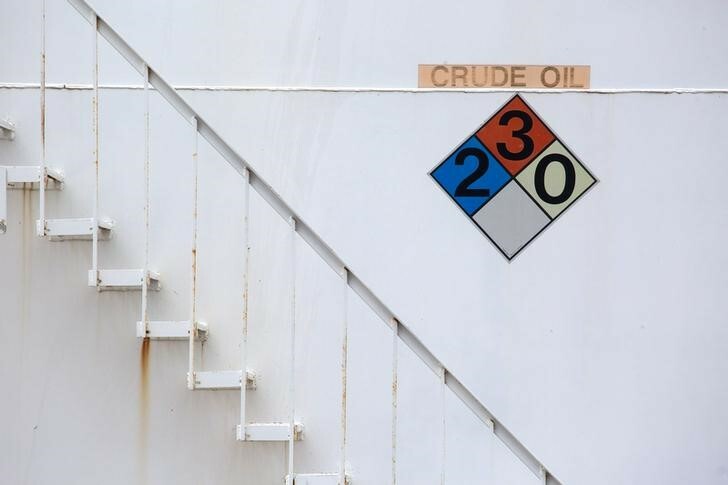 Investing.com – Oil traders will stay focused on a plethora of bearish factors currently weighing on the market in the week ahead, after prices suffered their – their worst losing streak since August 2015.
, meanwhile suffered its fifth week of declines in six, as investors worried that global trade disputes, most notably between the U.S. and China, could slow economic growth and hurt demand for energy. In the latest round of levies, China said it would impose additional tariffs of 25% on $16 billion worth of U.S. imports. In another worrying sign, U.S. energy companies added the most oil rigs since May last week, pointing to indications of U.S. output growth. The U.S. rig count, an early indicator of future output, rose by 10 to 869 last week, the highest level since March 2015, according to oilfield services firm Baker Hughes. Despite these worries, the market will likely draw support from the introduction of , which from November will include oil exports. The (IEA), in its monthly report published Friday, confirmed that Iran’s output continued to fall last month, reaffirming expectations that Washington’s tough stance on sanctions against Tehran were starting to curb demand for crude from the Islamic Republic. Fresh weekly data on U.S. commercial crude inventories on Tuesday and Wednesday to gauge the strength of demand in the world’s largest oil consumer and how fast output levels will continue to rise will capture the market’s attention. Market players will also focus on OPEC’s monthly report on Monday to assess global oil supply and demand levels. The Organization of Petroleum Exporting Counties will publish its of oil markets. The American Petroleum Institute is to publish its on U.S. oil supplies. The U.S. Energy Information Administration will release its on oil stockpiles.